Why See Dark Star Orchestra? 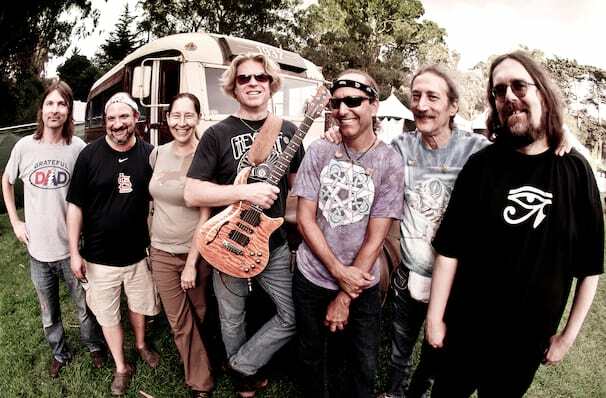 The Grateful Dead have been resurrected in the form of Dark Star Orchestra. Formed in 1997, this tribute band came up with the novel idea of recreating complete sets from The Grateful Dead's gigantic list of concerts. They adapt their playing and sound depending on what era of Dead they're tackling on the night, and while they slavishly recreate the sound of the band down to the minutest detail, they also embark on epic improvisations that would make their heroes proud. 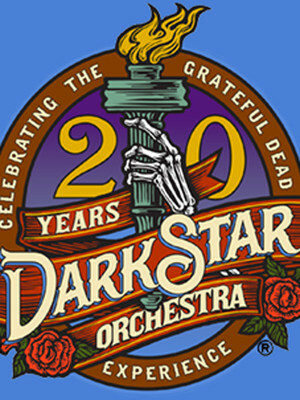 Dark Star Orchestra are now well on their way to equalling the number of shows that The Grateful Dead themselves played during their 30 year history, and are now celebrating over 20 years of performing! Sound good to you? Share this page on social media and let your friends know about Dark Star Orchestra at Marathon Music Works. Please note: The term Marathon Music Works and/or Dark Star Orchestra as well as all associated graphics, logos, and/or other trademarks, tradenames or copyrights are the property of the Marathon Music Works and/or Dark Star Orchestra and are used herein for factual descriptive purposes only. We are in no way associated with or authorized by the Marathon Music Works and/or Dark Star Orchestra and neither that entity nor any of its affiliates have licensed or endorsed us to sell tickets, goods and or services in conjunction with their events.